Designer villa surrounded by nature, with a garden and infinity pool, for sale by the sea close to Tarragona. 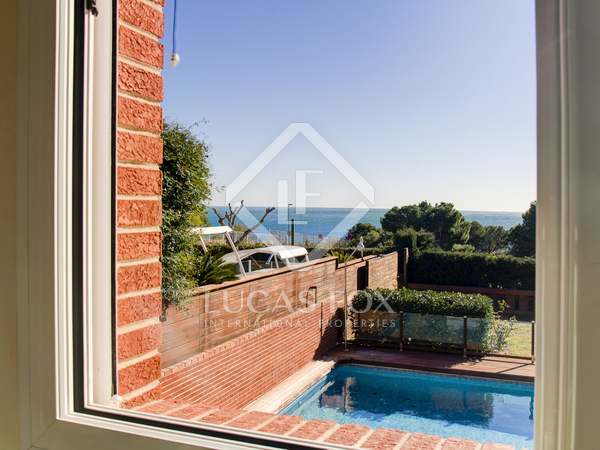 Spacious and bright house for sale in one of the most select and quiet areas of Tarragona, with panoramic views of the sea and the coast. 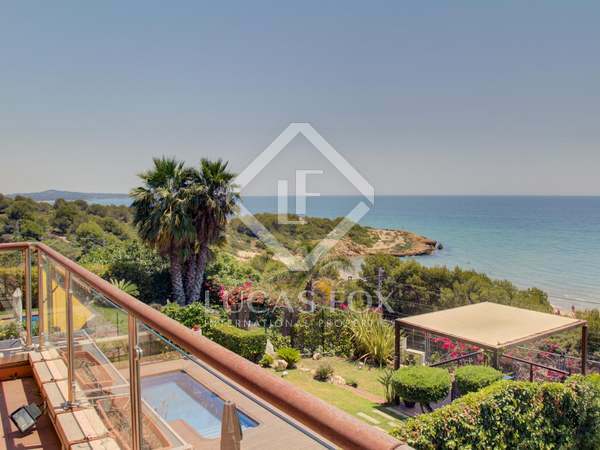 Spacious and bright villa with a splendid glazed porch and incredible sea views, as well as a private garden with a swimming pool and garage for 2 cars, in one of the most sought-after areas of Tarragona. Magnificent 5-bedroom villa with a garden, pool and direct beach access for sale in Les Tres Cales residential development, 10 minutes from L'Ametlla de Mar. 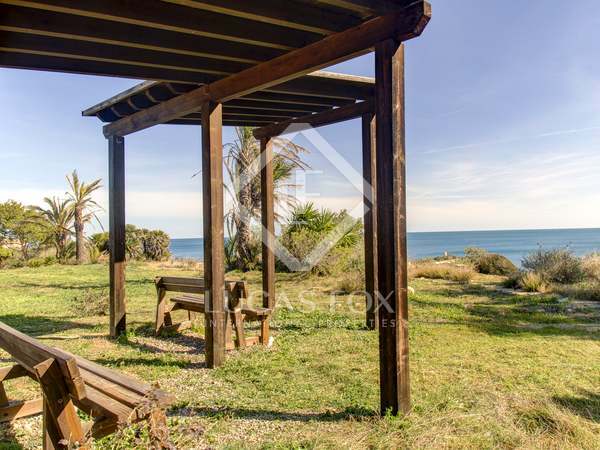 Magnificent house with an excellent garden and direct access to the beach, for sale on the seafront, in Roda de Berà. Large villa for sale in the exclusive area of Cala Romana, a few minutes from the centre of Tarragona and facing the sea. 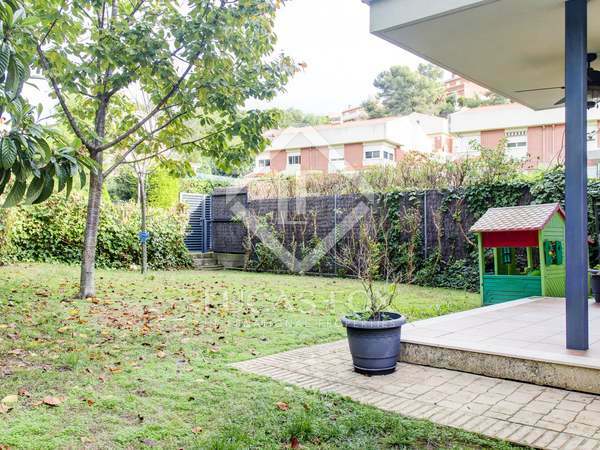 In the best area of ​​Cala Romana, one of the most exclusive residential areas of Tarragona, we find this wonderful house with large spaces, an excellent layout and a great natural light throughout the day. Magnificent house with garden, pool, garage and sea views for sale in an excellent location in Cala Romana, just 50 metres from the beach. 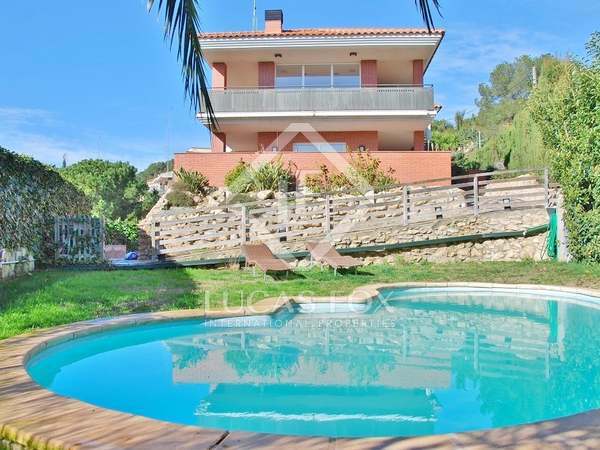 House with wrap-around garden, elevated pool, garage and sea views for sale in an excellent location in Cala Romana, a few minutes from the centre of Tarragona. Family house in the community of La Mora-Tamarit, near the beach, with several terraces, a private garage, a large garden and swimming pool. 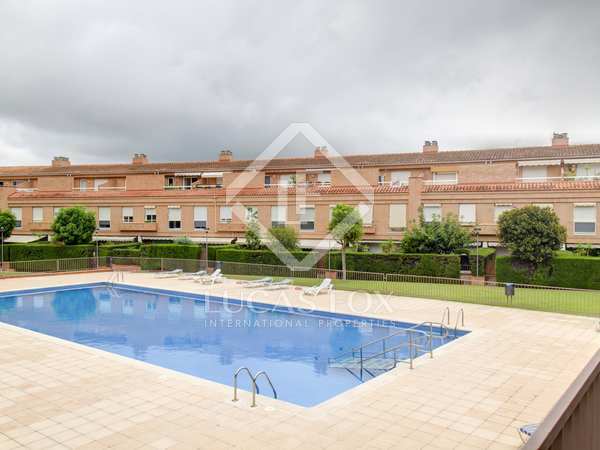 Fantastic house with 5 bedrooms and several terraces, located in a residential complex with garden and pool in a quiet area close to the city centre. 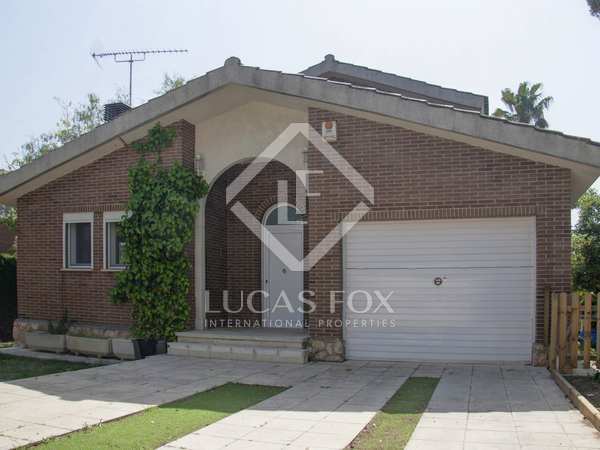 Newly renovated house with garden and pool located in the countryside in the residential area of Boscos de Tarragona. Excellent house with a beautiful garden located near the centre of Tarragona and with direct access to the Golf Costa Daurada facilities. 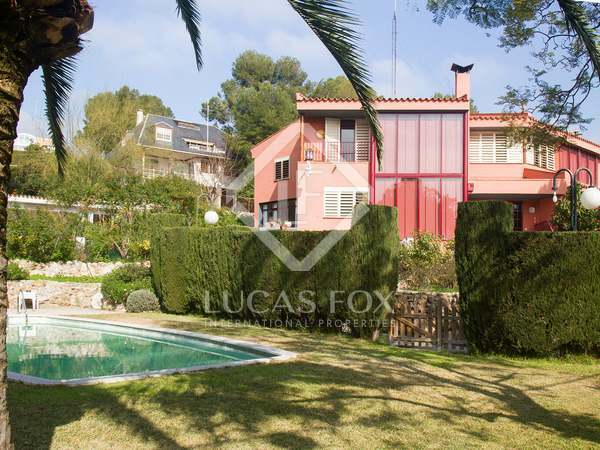 Wonderful 4-bedroom house with a beautiful garden and pool for sale in the Llevant residenial area of Tarragona. 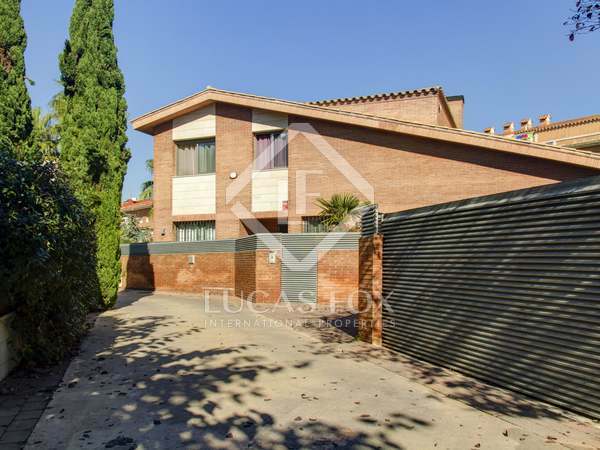 Semi-detached house for sale in a residential area of 12 homes with a communal area including a swimming pool in Boscos.